For even the most no-fuss minimalist, there are still a few accessories that men need to consider their wardrobe complete. Accessories can sometimes be forgotten or overlooked, but styled right, they can elevate your entire look. Here are 10 essential accessories every guy should have. Every guy needs a go-to watch. 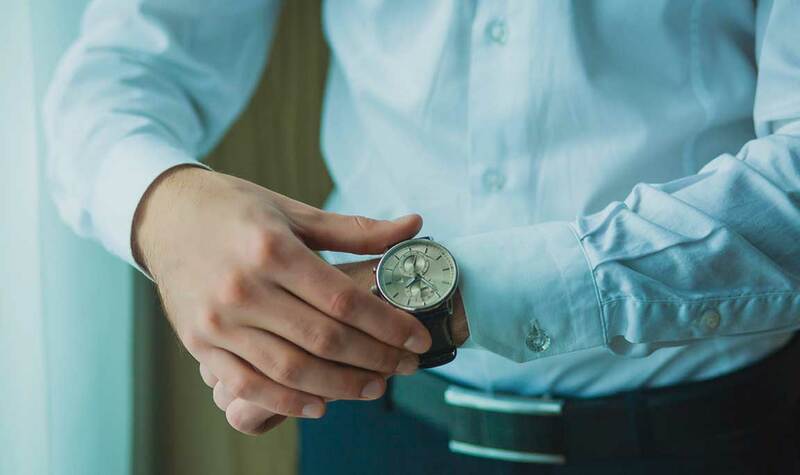 A good watch will go with any outfit and shouldn’t be too flashy; unless you’re scuba diving or going into outer space with it, keep the watch face relatively simple. Something minimal and polished will do the trick. Avoid casual watch straps made of fabric or plastic. Instead, opt for metal or leather straps and accents in darker colors. When sporting a suit, a great way to tie your whole look together is with a pocket square. These versatile accessories come in a variety of fabrics and prints, and can be worn a number of ways depending on how dressy or casual your outfit is. Here’s our guide to wearing and folding pocket squares. Have a few standard pocket squares in your collection: one in a light blue for darker suits, one in white for a variety of occasions, and one with bold print to show off your personality. This will ensure that your outfits always have the perfect finishing touch. The cufflink used to be an extremely common accessory, but is often overlooked nowadays in favor of more casual or simple dress. But don’t underestimate the impact these tiny fasteners can have on an outfit. Even the most understated dresser can show a little flair or really class up an ensemble with the right pair of cufflinks. Not just for Fortune 500 CEOs, French cuffs (the shirt cuff style that you wear with cufflinks) are the perfect choice for many occasions like weddings, galas, dates, and interviews. Cufflinks come in all shapes and materials, but you’ll never go wrong with a classic silver style. The perfect scarf will change your life, though we recommend erring on the side of function over fashion—if it’s not cold enough to warrant a scarf, then don’t wear one. Play around with fabrics, patterns and colors until you find one that suits your hair and skin color, and matches the tones in your wardrobe. For a more minimalist look, try a simple black or gray scarf in a light fabric. If you’re more adventurous with your style choices, experiment with brighter colors, bold patterns, and bigger knits. 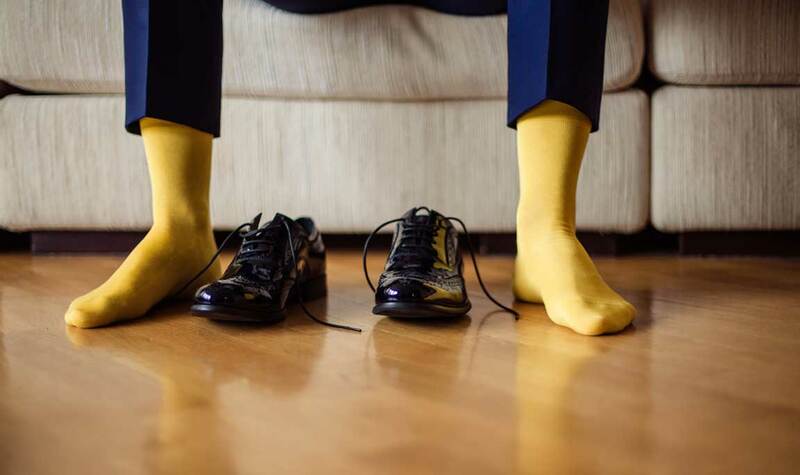 We assume you already own at least a few pairs of socks, but where you can branch out here is with fun pairs in bold colors and patterns. Because so little of the sock is seen, it’s one accessory where you can go all out and still look professional. Think bright colors, polka dots and stripes—we recommend picking an accent color that’s consistent with the rest of your outfit to tie it all together. Cuff the bottom of your pants if you want to show off your socks a little more. Finish off your outfit with a pair of leather brogues and you’re set. You most likely have a handful of ties in your collection, but have you considered investing in a tie clip? Originally dating back to the end of the 19th century, the tie clip was used to prevent a tie from flapping away from the chest, resulting in wrinkles. 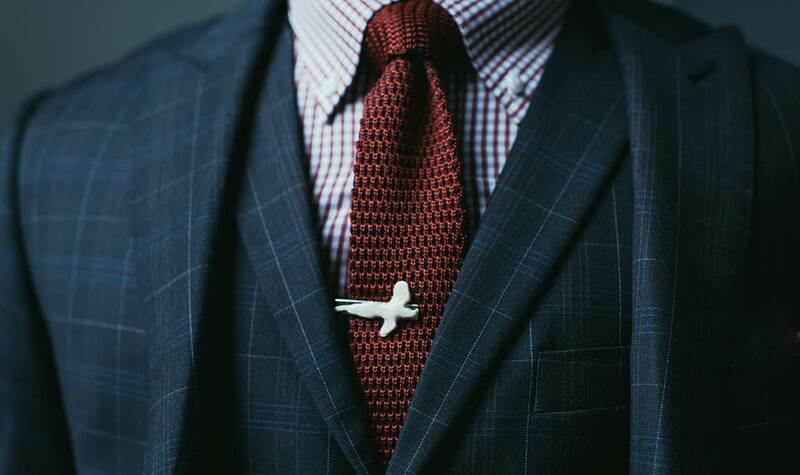 The basis of its function remains the same today, but the tie clip also represents an opportunity for adding a small, unique twist to your outfit. Try a tie clip in classic gold or silver before branching out to more whimsical styles and materials. 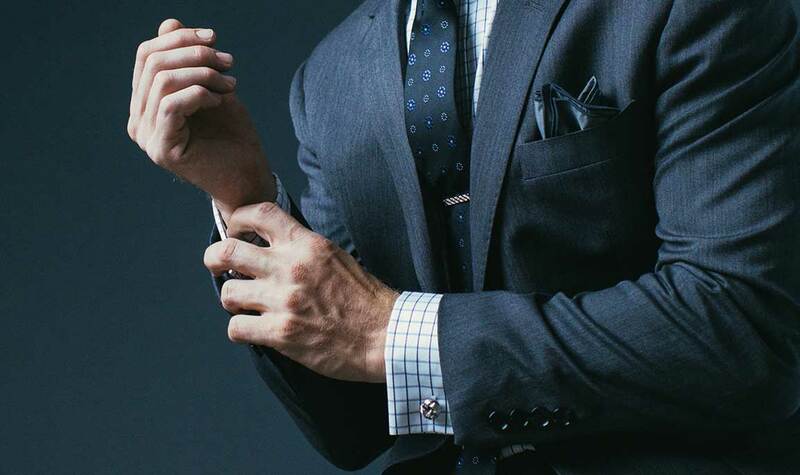 A good rule of thumb: the placement of a tie clip should be between the third and fourth buttons of your shirt. 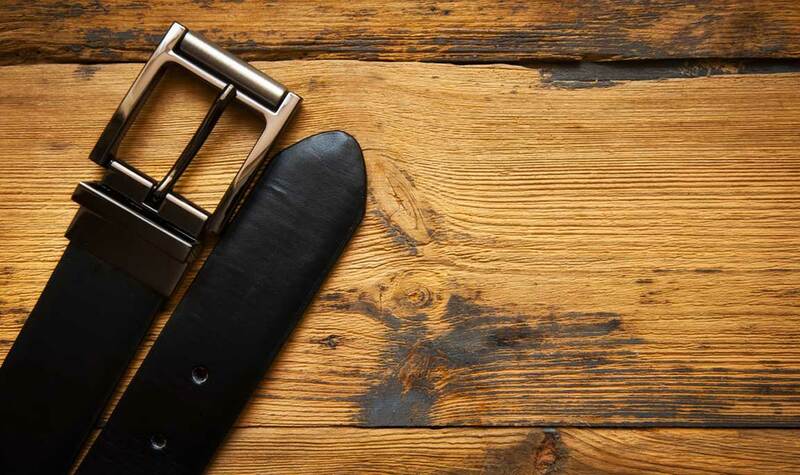 While belts are a common accessory, your everyday belt probably looks a bit beat up at the moment. It’s important to have a good leather version in your collection for dressier and more formal occasions. Leather looks best, and its durability means it will last for years. Choose a leather belt in standard black with a silver buckle because it will go with most suit colors and works well with denim, too. Make the most of your outfits with this arsenal of accessories. As long as you have these basics down, your style will always look top-notch.